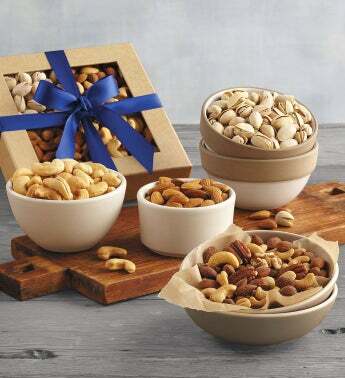 This box of savory gourmet nuts is filled with crunchy goodness and wrapped with a beautiful blue ribbon. 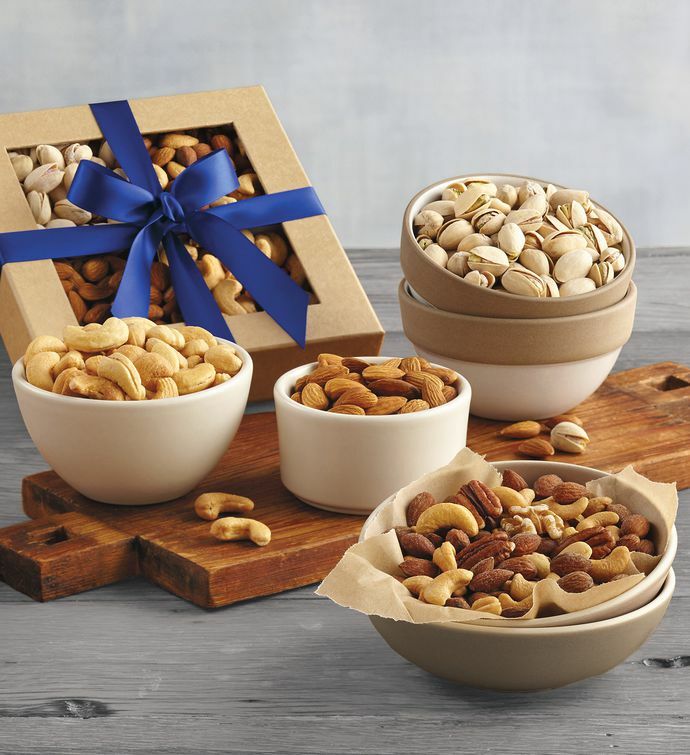 Roasted almonds, pistachios, jumbo cashews, and a tasty mix including pecans and walnuts are satisfying additions to any snack table. They pair perfectly with meats, cheeses, spicy hors d'oeuvres, red wines, and microbrews.